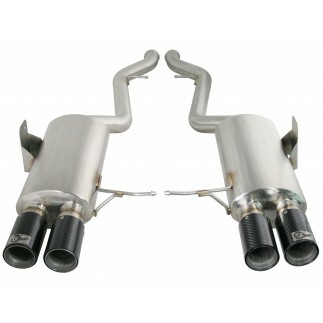 The MACH Force XP Race Pipe for the BMW E90, E92 and E93 M3 produced 27 horsepower and 50 lbs. x ft. of torque. 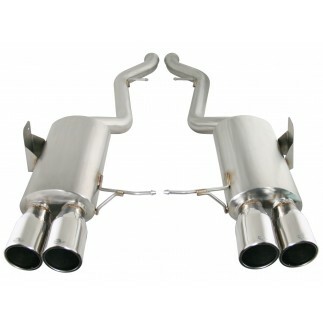 This exhaust race pipe is constructed from TIG-welded, 2-1/2" mandrel bent, 304 stainless steel tubing. It uses dual, high flow, 300 cell catalytic converters for maximum flow providing an astonishing low end torque improvement. 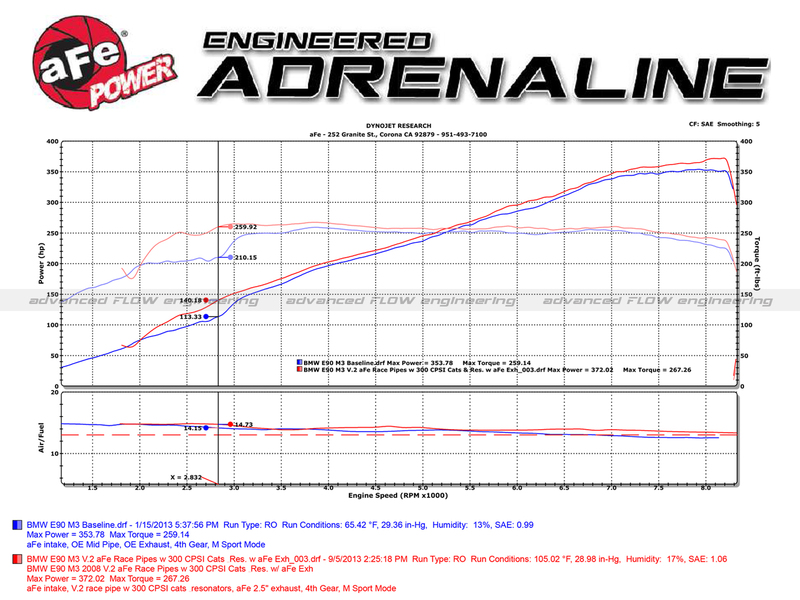 While developing this system, we ensured that this aFe Race Pipe not only increased performance but delivered a powerful and aggressive tone. Incorporated is an X-Pipe balance tube, which equalizes and evenly distributes exhaust pulses for increased performance across the power band. Dual resonators are also used to absorb high pitch sound decibels, minimizing exhaust drone. This race pipe can be used with the OE muffler or aFe cat-back exhaust systems (part numbers 49-36311-P, 49-36311-C, 49-36312-P, 49-36312-C, 49-36304 and 49-36305). 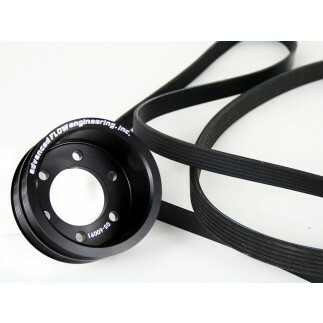 This race pipe requires no modifications and uses all factory hanger locations for a hassle free installation. 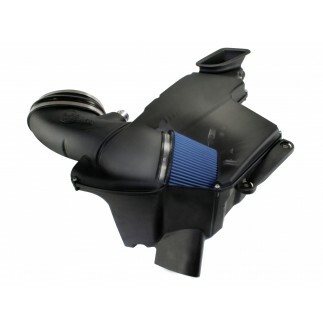 This race pipe retains all factory o2 sensors for a OE like, hassle free installation. The semi-metallic catalyst is designed for maximum surface area and flow and prevents the check engine light from emitting. An X-pipe balance tube is used to equalize and evenly distribute exhaust pulses which minimizes exhaust drone and increases flow and performance. 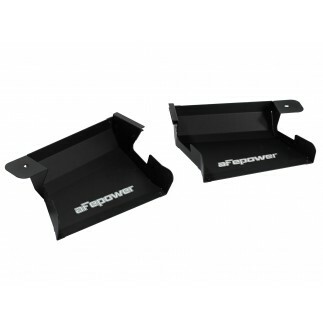 Dual high-flow resonators are used to absorb high pitch sound decibels, minimizing exhaust drone.